We’ll have to wait until Geneva next week to find out the name of Ginetta’s new supercar. Earlier this month, UK-based racing car manufacturer Ginetta made the surprise announcement that it’s building a road-going supercar. Ahead of its debut at Geneva next week, the company has revealed the first details, photos, and a video of its yet-to-be-named supercar. While many manufacturers are resorting to electrification to extract more power from today’s supercars, Ginetta’s new creation is decidedly old school. At its heart is a lightweight 6.0-liter V8 engine producing over 600 horsepower and 520 lb-ft of torque, resulting in a power-to-weight ratio of 545 hp per ton. The V8 unit is paired with a bespoke sequential six-speed gearbox and a differential linked to the engine through a carbon-fiber tailshaft. A rear wing with the same aerofoil shape as the latest Ginetta LMP1 racer, underbody diffuser, efficient body ducting and slash-cut side-exit exhausts help optimize airflow, with downforce at 100 mph totaling 828 pounds – that’s just five percent less than Ginetta’s LMP3 racer. Ginetta’s new supercar rides on 19 inch-wheels at the front and 20 inch-wheels at the rear, which were built specifically for the car. Carbon ceramic brakes also provide plenty of stopping power. Inside, there’s an LMP1-inspired carbon fiber steering wheel with billet aluminium shift paddles, mixed with a combination of Alcantara, carbon fiber and billet aluminium materials. Production will be limited to 20 units for the first year, with pricing to be confirmed at Geneva along with the supercar’s name. At full capacity, 30 to 50 will be built annually. 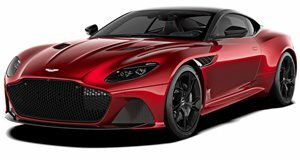 If you want one, you better act fast because Genetta has already sold 14 out of the 20 cars planned for production in the first year.